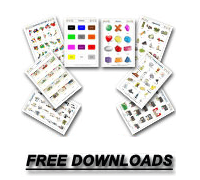 Introduce playground vocabulary to students. Let students ask simple questions such as: What colour is the jungle gym? What do you like to play? 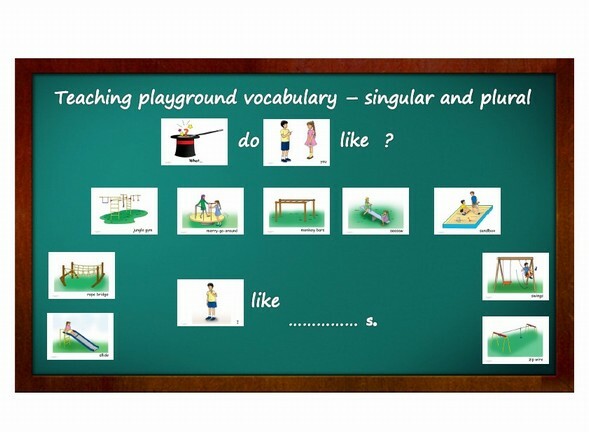 e.g.. You also can write the playground vocabulary on the board and students have to stick the correct flashcards above the writing. An additional exercise is to erase letters from the writing where students have to rewrite the letters into the free space onto the board. Run and Get It - Divide the class into two teams and have them stand facing each other. Assign each team member a number. Place the flashcards in the middle of the two teams. Call a number and a flashcard example: "Student three-rabbit". The students assigned that number must run into the center and touch the flashcard and shout "rabbit". The member who touched and called first can take the flashcard to their side.